His time with the Cardinals was brief, but his career in baseball still memorable. Today on “The Cooperstown case”, we will be looking at Larry Walker. Walker had the misfortune of playing in the wrong time period for a pure-clean power hitter… in the steroid era. It was an era where players like Barry Bonds, Mark McGwire, Sammy Sosa, and others were electrifying audiences with their home-run hitting prowess. However, the pure hitters of their times, such as Walker, struggled to become as recognized until time passed on. So why hasn’t Walker been an inductee into Cooperstown yet? Is he deserving? One major point against him is his injury history. Much like Scott Rolen, Walker struggled to stay healthy, playing on average 124 games per season. Troy Renck, who voted for Walker on the 2016 Hall of Fame ballot, talked about the former MVP. Another drawback is the fact that he just barely eclipsed the 2,000 hits mark and fell just under the 400 home run mark. Despite that, take a look at players like Tony Gwynn: he hit way fewer home runs than Walker, but far surpassed the 2,000 hit mark (he hit for over 3,000 hits). Walker’s well-balanced career actually seems to be more of a turn-off for Cooperstown. Lastly, let’s take a look where he played the majority of his career: Coors Field in Denver. 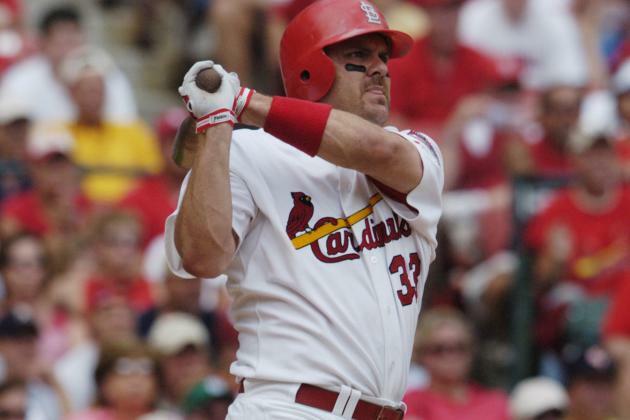 During his last two seasons, Walker played in St. Louis with the Cardinals, ending his career on a high note with the Cardinals, who won 205 games in two seasons. In two seasons with St. Louis, Walker hit 26 home runs, 133 hits, and 79 RBI’s. It capped off a career in which he hit 373 home runs, 1311 RBI’s, and 2160 hits. So, does Walker deserve a spot in Cooperstown, even with the reasoning against him? Feel free to discuss, and tune in next week for yet another edition of “The Cooperstown case”!